Experienced investors know that in order to achieve long term success, it is necessary to read voraciously and to insist on personally reviewing primary sources such as SEC filings when considering investments. Outsourcing investment analysis, whether to a talking head on television or to a highly paid investment advisor, is almost never a satisfactory substitute for personal research for enterprising investors taking an active role in managing their own funds. Only a careful examination of primary sources can provide the insight required to make decisions and the confidence to stay the course when Mr. Market’s psychological warfare threatens to result in capitulation at the worst possible time. While examining SEC filings is a necessary condition for long term investment success, it is not sufficient in most cases. Accounting rules, even when faithfully followed by honest and capable management, often introduce distortions that can result in trouble when an analyst fails to look beneath the numbers. While there are numerous pitfalls that an analyst must be aware of, in this article we will focus on a specific type of distortion that can occur when the value of real estate on the balance sheet may be understated due to the passage of long periods of time and the effects of inflation. 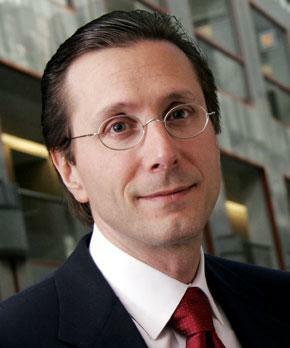 In the March 17, 2009 issue of Outstanding Investor Digest, Bruce Berkowitz made the following statement: “I think almost our entire portfolio is selling at a back-up-the-truck price.” With the benefit of hindsight, we know that Mr. Berkowitz was being interviewed almost exactly at the bear market lows but he didn’t know this at the time. However, he had confidence in his convictions and this was due to the depth of research underlying his fund’s positions. Last summer, we spent a tremendous amount of time going to all the tax collectors’ offices around the U.S. trying to get the tax value of Sears and Kmart properties — and we came up with numbers that ranged from between $80 and $90 per share. So, how much has it changed from last summer? And where is the stock today? And how much is the largest appliance servicer worth, or a large automotive center worth, or three or four brands, or Sears Canada and over $11 billion of inventories? It just doesn’t take a lot these days to get to the current market price …. So there are many ways to get to heaven. I think there are many ways that we will make money in Sears. Has our estimate of liquidation value declined in this environment? Yes, it has. But it’s still dramatically above where Sears is trading today. Mr. Berkowitz did not rely on private appraisals or non public information to determine that Sears had property worth far in excess of the value reported on the balance sheet. He simply went through the process of locating tax assessment information throughout the country — an arduous task, no doubt, but ultimately a task that anyone could accomplish given enough time and motivation. In late November 2010, we published an investment thesis for Investors Title Company which remains largely unchanged today. The company recently released its 10-K report for 2010. Tangible book value per share was $45.58 as of December 31, 2010 while the stock price has barely budged since the initial write-up and stands at $30.87 as of the close of trading on March 15, 2011. Following publication of the article, one of our readers sent an email suggesting that Investors Title may have real estate that is worth substantially more than the carrying value on the balance sheet. Inspired by Mr. Berkowitz’s much larger effort to value the real estate of Sears Holdings, we decided to take a closer look at the Investors Title real estate portfolio in Chapel Hill, North Carolina. The Company owns two adjacent office buildings and property located on the corner of North Columbia and West Rosemary streets in Chapel Hill, North Carolina, which serve as the Company’s corporate headquarters. The main building contains approximately 23,000 square feet and has on-site parking facilities. The Company’s principal subsidiary, ITIC, leases office space in 30 locations throughout North Carolina, South Carolina, Nebraska and Texas. The Company believes that each of the office facilities occupied by the Company and its subsidiaries are in good condition, adequately insured and adequate for its present operations. Keep in mind that the figures adding up to $9,984,298 are carried at historical cost. In the case of assets such as office buildings, furniture, and automobiles, these assets are depreciated over time to reflect the decreased utility of decaying assets as time passes. Fully depreciated, the value of property and equipment on the balance sheet is $3,672,317. Land is not subject to annual depreciation and from an economic perspective office buildings and improvements tend to appreciate with inflation when well maintained. Under no circumstances are these accounts ever written up to market value when land and property prices appreciate. While examining tax assessment data is not a substitute for obtaining true market data for property, we will use assessments as a conservative proxy. Chapel Hill is located in Orange County, North Carolina and the real estate assessment process attempts to value properties at market value. In practice, many assessors may value property at somewhat less than market value in order to discourage numerous time consuming and costly challenges to assessments by taxpayers. As a result, the figures we obtained may be somewhat understated compared to true market value. Orange County maintains an online assessment database that makes it easy to look up property tax information, all of which is public record. We have found that most jurisdictions now have online databases available making physical trips to assessor’s offices mostly a thing of the past. In order to look up Investors Title’s properties, simply go to the website, specify a search by “Business Name” and enter “Investors Title Company” as the selection criteria. The tax year we used was 2010. 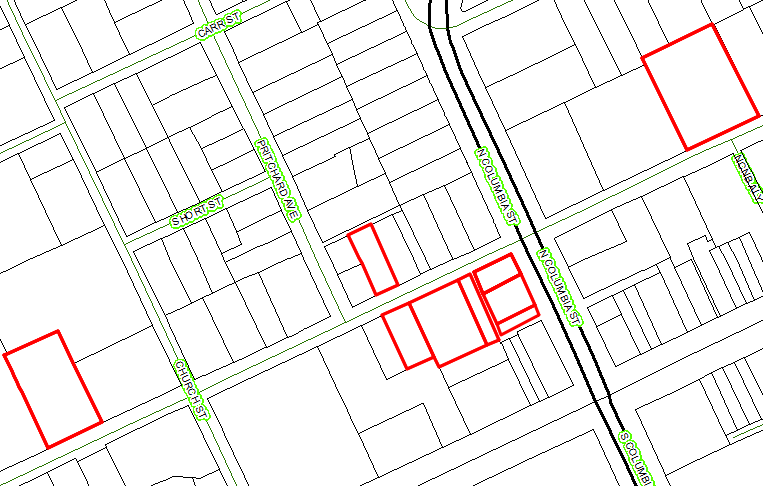 The cluster of parcels at the southwest corner of Columbia and Rosemary form the area around the Investors Title corporate headquarters with one additional parcel across the street and two larger parcels located a few blocks away in both directions along Rosemary Street. How should we interpret this data? The easy part of the analysis involves comparing the historical cost of the land, listed at $1,107,582 on the balance sheet, with the assessed value of land calculated at $5,293,905 based on assessment data. Since land is not subject to depreciation on the balance sheet, we can conclude that Investors Title’s land is undervalued on the balance sheet by approximately $4.2 million. The more uncertain part of the analysis involves looking at the value of the building improvements listed at $3,196,546 before depreciation on the balance sheet and $2,256,401 based on the assessed values. The company does not break down depreciation so we cannot determine how much the office buildings are carried on a net basis. However, if we assume that accumulated depreciation was applied roughly in proportion to the percentage contribution of office buildings, furniture, and automobiles to total property excluding land, we could infer that roughly $2.3 million of the $6.3 million in accumulated depreciation should be applied to the office buildings meaning that they would be almost entirely depreciated at this stage. This seems consistent with the age of the buildings listed in the tax records and observed via Google Maps. Therefore, we may consider the roughly $2.2 million of assessed value of the office buildings to be incremental value not reflected on the balance sheet. Shareholders’ equity on the balance sheet was stated at $103.9 million as of December 31, 2010. If we add $4.2 million for the undervalued land and $2.2 million for undervalued office buildings and improvements, we would arrive at “adjusted” shareholders’ equity of $110.3 million. On a per share basis, this would increase tangible book value from $45.58 to $48.37. In the case of Investors Title, we would stress that most of the land in question could not be liquidated in the manner that Sears Holdings could liquidate excess real estate because the company’s headquarters and adjacent facilities are located on the properties. However, there are a few parcels that appear to be entirely unrelated to the company’s business activities and could potentially be liquidated. In any event, the incremental value is not dramatic enough to change the overall investment thesis but could represent a small incremental margin of safety. The point of this article is to encourage readers to dig beneath the surface when evaluating potential investments, whether it means looking at potentially higher values in real estate holdings or at some other factor more relevant to another company. 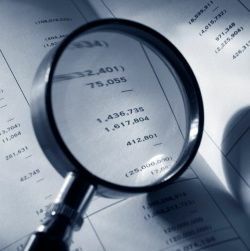 Financial statements provide a wealth of information and the minority of investors who bother to read SEC filings are already miles ahead of those who take casual “flyers” on stocks. However, for superior performance over long periods of time, investors may be well advised to try to find an additional edge that most other investors may neglect to pursue and that often involves going beyond the SEC filings. Berkshire’s Investment Write-Downs: “Gotcha Moment” or Difference of Opinion? Fascinating look at real estate valuations. While it won’t affect my decisions on Investors Title, i do appreciate you sharing the process through which you went about this. Great work & thanks for sharing!